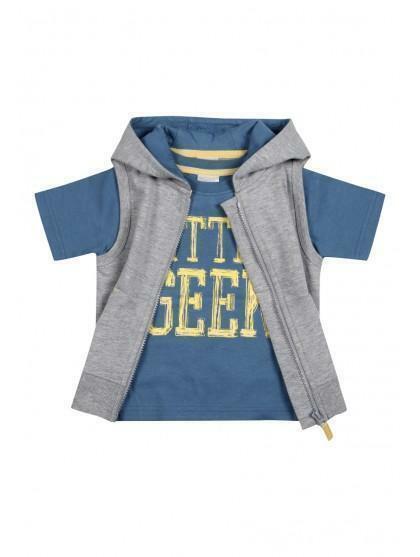 With layering being the 'in' thing this season, your lil man will look adorable in this zip-through, sleeveless hoody. Perfect with jeans, this already comes with a funky t-shirt. 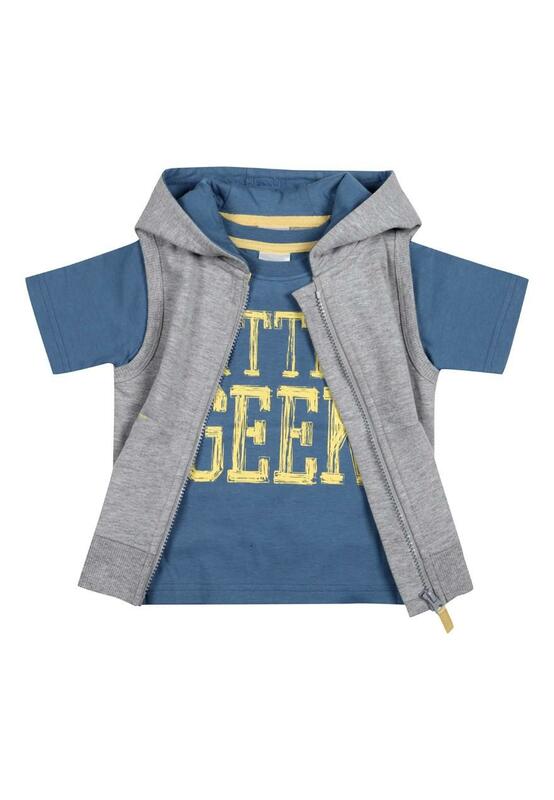 The zip front and two pocket detail make this a trendy must have for any cool dude.